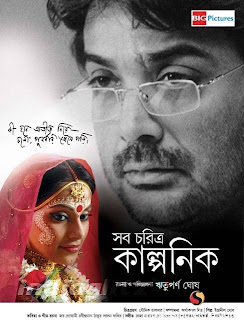 Rituparno Ghosh has made some remarkable movies on the frailties, nuances and undercurrents of human relations, be it Utsab, Dahan or Shubho Mahurat. But his take on male-female equation in his latest outing, Shob Choritro Kalponik, might just have been the most difficult to execute. The movie is about Radhika, a working professional, and the complex relationship she shares with her poet-husband Indranil, more so given that she is involved in an extra-marital affair with Shekhar, who happens to hero-worship Indranil. Radhika isn’t happy in her marriage, but when Indranil suddenly drops dead, she ends up, in a way, being enslaved by his brooding and seemingly inescapable presence. Bipasha Basu and Jishu Sengupta, as Radhika and Shekhar, have delivered surprisingly layered and effective performances, while Prosenjit, as Indranil, has given a wonderfully matured and restrained portrayal in what was easily an author-backed role. And add to that a leisurely narrative that jumps back and forth in time, and the magnetic poetry by Joy Goswami, one of the finest Indian poets alive, and what you have is a movie that could one day be regarded as one of the most important in the Bengali auteur’s oeuvre. Micheal Mann might be a part of the Hollywood bandwagon, but he manages to retain his signature in the otherwise faceless crowd. In his expert hands in the stylish and visually stunning Collateral, Los Angeles isn’t just another teeming metropolis, but a living, breathing entity with a character of its own. On one hand it is dark, brooding and deeply alienating, while on the other it is vibrant, gorgeous, and with an intoxicating air about it. The tale of Max, a good-natured cab-driver, becoming an unwilling accomplice to Vincent, a cold-blooded contract killer, is almost in the fashion of a good old-fashioned character-based thriller. Jamie Foxx, as the classic case of being “in wrong place, in wrong time”, is the soul of the movie, while Tom Cruise, cast against his type, might just have delivered, along with his terrific turn in Magnolia, one of the most memorable performances of his career. The only real weakness of the movie lies in its formulaic ending that is oh-so-big-bad-Hollywood. But, if you can somehow forgive that, you’ll be in for a smart and entertaining ride. was the then 28-year old Stanley Kubrick’s third feature film direction; however, where his immense capabilities coming to public knowledge was concerned, it might very well be considered his first. Though nowhere as famous as some of his later, more universally recognized movies, this gem of a hardboiled noir still ranks as one of his finest works. The movie is about a motley group of regular Joes, led by veteran crook Johny Clay (immaculately played by Sterling Hayden) planning his last caper, who plan to execute the perfect heist by robbing a racetrack of $2 million. But then, as we all know, there’s no such thing as perfect crime, and Johny’s best laid plans go awry for reasons ranging from human flaws to plain bad luck. 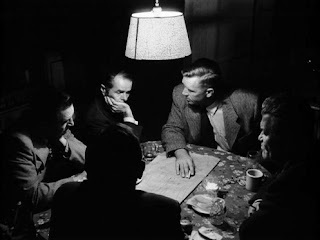 Though the movie’s fatalistic themes as well as its basic storyline have been heavily inspired from John Huston’s noir masterpiece The Asphalt Jungle, Kubrick made the movie his own by unraveling the story in chronologically fractured sequences and through complex use of flashbacks. Striking B/W photography – the scene where Johny details his plan in a dimly-lit smoke-filled room was a clincher, top-drawer performances by its largely B-list actors, and gripping, fluid narrative made this a remarkable, albeit deeply nihilistic piece of film noir. 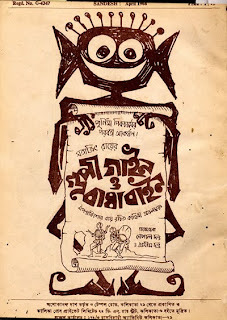 Atanu Ghosh might have made quite a few telefilms, but his inexperience in feature direction was palpable in Angshumaner Chhobi. The movie has its fair share of flaws, and that despite the fact that the basic storyline and concept are so strong that it had a spellbinder written all over it. In fact I’d go so far as stating that it is so much a Rituparno Ghosh’s kind of movie that he might have done wonders had he directed it, or at least written its script. Having said that, one has got to admit that the film has been brought to screen with restraint and sensitiveness, and without any undue gloss or flamboyance – in keeping with what I was hoping for. 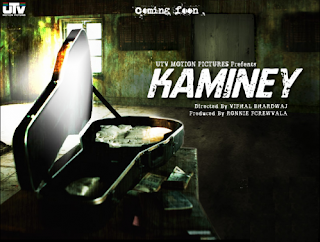 The film is about a famous film director called Angshuman who has returned to India after a long time to make a Bengali movie. The movie within a movie boasts of two well developed characters – a legendary thespian on self-imposed exile (played very well by Soumitra Chatterjee – a legend himself), and an emotionally fragile actress who is unaware of her true worth (exceptionally portrayed by Indrani Halder). Unfortunately the character of the principal protagonist wasn’t fully realized, and the sub-par enacting of the role as well as the weak script didn’t help matters at all. Thus what could have been a memorable cinamatic experience ended up being just another decent, forgettable watch. Gilda, the noir classic by Charles Vidor, starts off exceedingly well. We are immediately introduced to a drifter making easy money by gambling at shady joints in Buenos Aires. And the movie reaches fifth gear when he hustles his way into a lucrative job as the manager of a gambling joint owned by a wealthy German guy. Soon enough enters the teasing femme fatale (played with sizzling effect by Rita Hayworth) as the newly wed wife of the owner; it is however obvious she once had a torrid affair with the drifter which didn’t end well, thus making him deeply embittered by her very presence. However, as the subject matter starts becoming heavier, with the added angle of international conspiracy thrown in, the initial chemistry starts wearing off. Only near the end does Vidor pull an ace up his sleeve with the innuendo-laden song “Put the blame on Meme”, followed by Hayworth’s famous striptease scene which might seem as an expression of her “loose morals” but in essence is indicative of the turmoil in her mind as well as her troubled life. Thus, though in my opinion the movie doesn’t rank among the best of this genre, it still does deserve a watch. Lots of great movies get made, but few manage to attain iconic status such that they linger in public conscience long after their sell by dates in theatres. 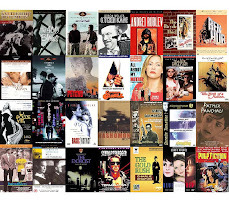 Easy examples of such movies would be Goopy Gyne Bagha Byne, Easy Rider, Breathless, Sholay or perhaps even Jaws; Bonnie and Clyde is easily part of that elite group. 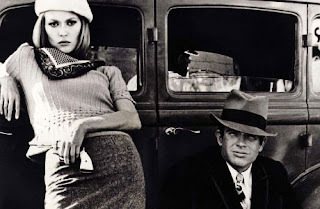 The real-life tale of two lovers – Bonnie Parker and Clyde Barrow – hitting on a cross-country crime spree, happened to be Warren Beaty’s pet subject, and under Arthur Penn’s hands the movie went on to achieve stratospheric popularity despite the initial criticism it had to face because of its then-graphic depiction of crime, violence, lawlessness and the characters’ notorious detachments where things concerning morality and ethics were concerned. Played with amazing charm and skill by Warren Beaty and Faye Dunaway, two actors who would go on to achieve great glory in their respective careers, their terrific screen chemistry is stuff that legends are made of. Though I feel the movie hasn’t dated well – the acting of the supporting characters (including Gene Hackman, and especially the lady who played his wife) seemed way over the top to me, the attempts at humour were a tad lame, and the plot too at times seems not tight enough, but there’s no denying the movie’s place in cinematic folklore. And the fact that it has inspired such famous inspirations like Terrence Mallick’s lyrical Badlands and Oliver Stone’s hyper-violent Natural Born Killers, makes its claim to fame that much more strong. Gotz Spielmann, who won rave reviews for the extraordinary Revanche, earlier directed this equally stark and grim movie that, along with Revanche, manages to be highly indicative of his terrific grip over the medium. In fact, though not many might be able to appreciate this comparison, I’d say his choice of subject and storytelling bear striking similarity to Bengali auteur Rituparno Ghosh. Inspired by the narrative structure of Ameros Perros, Antares tells the interconnected tales of individuals brought together by a car accident. The movie, without ever taking a stance on the morality or motives of the characters, has managed to marvelously bring forth the lurking sadness and complexities in their seemingly mundane lives, and paint a wonderfully layered picture of the Austrian urban milieu. In fact, Vienna could very well be replaced with any metropolis of the world and yet the relevance of the story would remain the same, such is the universality of the themes of human loneliness and man’s futile attempts at connecting to someone, anyone, in hopes of not dying alone. The unrelentingly heavy subject matter, the languorous pacing that is quintessentially European Art Cinema, and the singular lack of any background score might be off-putting to many, but I found the movie far more gripping than most thrillers. And the fact that the acting is consistently first rate throughout made viewing the movie that much more engaging. In Love Aaj Kal, director Imtiaz Ali has used the classic template of “boy meets girl, boy loses girl, boy wins girl” twice over; thankfully he has infused in it freshness and humour so that the end product is quite watchable. Having said that, the movie hasn’t succeeded in avoiding all the clichéd pitfalls of a mainstream Bollywood movie – it has its fair share of unnecessary song-and-dance sequences, every single complication gets mysteriously sorted out in time for the ‘happily ever after’ finale, and the NRI part of the story appears ludicrously unrealistic at times (what I fail to understand is, why so many NRI stories are filmed in the first place!). The director however is smart enough to appear as if he isn’t following the beaten path, without ever loosing sight of his producer’s coffers. The story is about two parallel love angles – one corresponding to the present, while the other told through flashbacks. The acting is decent, with perhaps only Deepika Padukone’s performance being worth noting. Watch this movie only if you’ve some time to kill. Yes, Vishal Bharadwaj has done it again! After the dark nihilism of the two Shakespeare adaptations Maqbool and Omkara, he chose to go darkly comic with Kaminey, and the end result is nearly as gripping and tantalizing. Punching no-holes-barred violence with tar black humour, the movie would surely make the likes of Quentin Tarantino, the Coen brothers, Park Chan-Wook and Guy Ritchie quite proud if they were to watch it. The tale, set in a single day of mayhem and double-crosses, is about twin brothers Guddu and Charlie – the former is goody-two-shoes and stammers while the latter is an underworld bookie with lisp, who had hoped they would never get to cross each other’s paths. But they do, and in what spectacular fashion! Shahid Kapoor, as the twins, is quite brilliant at times, especially as the ‘evil’ counterpart, as is the entire cast of actors – Priyanka Chopra, Amol Gupte, Chandan Roy Sanyal et al – who join him in the mad, mad ride to hell and back. The music by the director himself sets the frenetic pace, while the cinematography ensures the audience too is in for a high-octane journey through Bombay’s notorious nether world of guns, drugs, gangsters and politicians (read: gangsters). Though its darkness-quotient might not be as high as, say Omkara, but its still high enough to ensure that right from its maniac, cynical voiceover to the mini-warzone at the climax makes for a captivating and wildly entertaining watch. 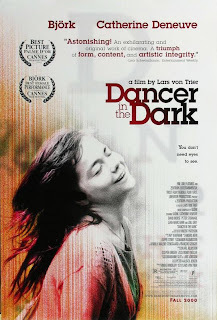 The finale of what enfant terrible and self-professed genius Lars von Trier calls his “Golden Hearts Trilogy”, Dancer in the Dark is that rare movie that manages to enthrall and repel in equal measures. A revisionist musical like perhaps no other, the movie received both flak and adulation from its deeply polarized viewers when it was released. I can understand what prompted the former group to passionately throw brickbats at it, but there’s no denying the movie’s raw, heartbreaking emotional power. It is about a frail, working-class Czech émigré Selma (brought to life thanks to an astonishing performance by Bjork) who is saving money to help prevent her son from having her fate – that of slowly going blind – until a debilitating tragedy shatters all her plans and dreams. In a brilliant cinematic maneuver by Trier, Selma, in order to escape her glum existence, often resorts to musical dream sequences; the dull, near-claustrophobic “real” events have been marvelously juxtaposed with vibrant, saturated colours in the “dream” ones. The long-drawn climax might seem brutal and even sadistic to many; however, terrific performances by the wonderfully chosen cast (especially Catherine Deneuve), the surprisingly gripping narrative, and the undeniably innovative filmmaking technique employed by Triar (of combining a musical with a drama), made watching this grim, disturbing movie an absolutely memorable, and in a way, liberating viewing experience for me. 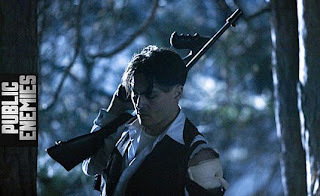 Michael Mann’s latest offering Public Enemies starts off brilliantly with a messy escape scene that is at once gripping and real. And it serves as a useful indication of things to come, even though the wonderful opening gambit is rarely ever equaled again. 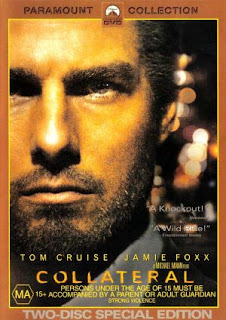 Like most movies by Mann, this is a mainstream movie, capable of entertaining, but also not without elements separating it from the slew of “shoot-‘em-kill-‘em” stuff made in the gangster genre – the documentary/TV footage-like photography in a number of scenes, the generous length, elaborate and deliberately bloody gun-fight sequences, and a deceptively unspectacular climax. Johny Depp, as “public enemy no. 1” John Dillinger, whose audacious bank robberies and slippery nature tuned him into a celebrity and an icon, more so when the FBI decided to bring him down, is impressive as the dandy gangster in a dapper suit. Well, to be honest, this isn’t a great movie for those looking for thunderous individual performances, or for that matter those looking for moral/philosophical overtures. 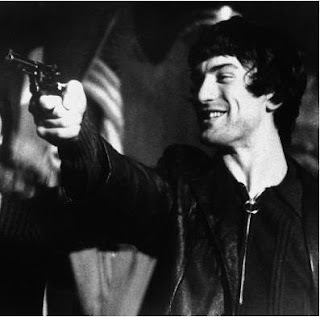 Rather, in most parts it is a fine movie given its mainstream ambitions, yet with enough signatures to ensure that the director’s touch never gets lost in the ensuing blaze of gun fires. Before Czech émigré Milos Forman earned recognition in Hollywood for movies like One Flew over the Cuckoo’s Nest and Amedeus, he’d already directed a couple of wonderful movies in his homeland – Loves of a Blonde being one of them. A delightful comedy and a subtle satire on the then Czechoslovakian society, Loves of a Blonde is a movie any director would be extremely proud to have in his oeuvre. Containing a distinctly Czech sense of humour – light-hearted on the surface, but with a deeply impactful social commentary underneath, the movie is about a fragile, naïve young girl who lives in a town where women heavily outnumber men. She lives a banal and unspectacular blue-collar existence, only punctuated by her comically tragic relationships with men, including one with a wonderfully opportunist piano player from Prague, leading to some memorable situational comedy at his parents’ house. The movie could have very well been one on disillusionment and cynicism; instead what we have is deliberately low-key, delectably whimsical and immensely enjoyable for discerning viewers. The tone is never scathing or bitter, rather it is gentle and understated. The acting is almost flawless, thanks in large parts to Forman’s brilliant selection of cast. This timeless gem really succeeded in making me smile and in inducing a tinge of sadness somewhere very deep, at the same time. 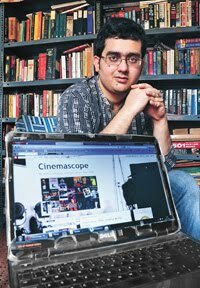 Dibakar Banerjee’s debut movie, the impressive social satire Khosla Ke Ghosla was a harbinger of a lot of positive thoughts in the minds of cine-goers; with his second feature Oye Lucky! 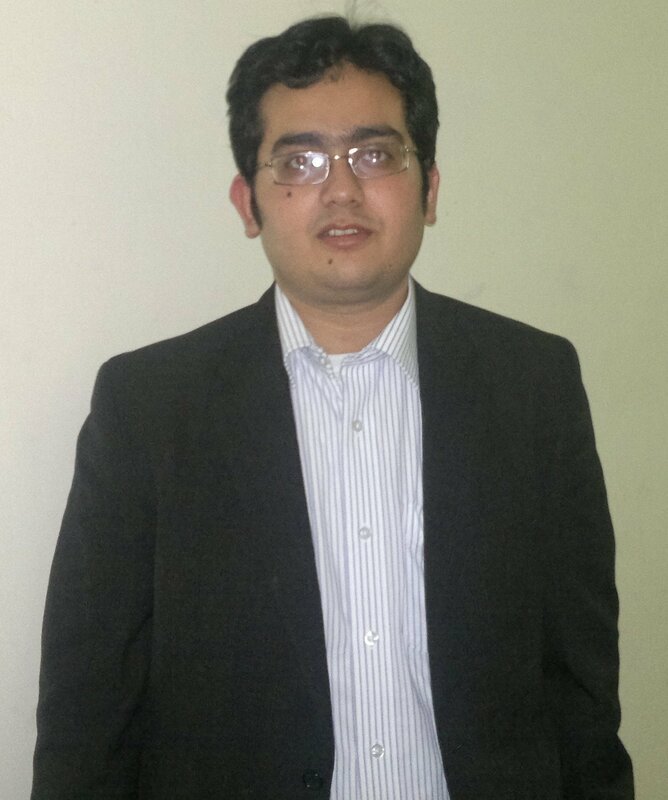 Lucky Oye! he certainly hasn’t disappointed those looking forward to it. Starring Abhay Deol, the leading protagonist of a number of good non-mainstream Hindi movies of recent times, Oye Lucky… is another refreshing satire and a comedy of human manners and hypocrisies. The movie, apparently based on real events, is on about a thief whose daredevil acts of thievery relied on tremendous self-confidence, ice-cool nerves and human engineering, rather than on elaborate planning and heists. 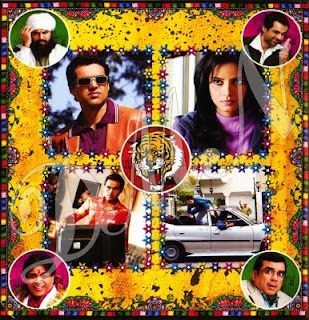 The most interesting aspect about the movie, in fact was in Paresh Rawal’s enacting of three separate characters with absolutely distinct personalities with effortless panache. The director surely knows his movies, as was evident from his subtle allusions to the world of cinema – the ode to the unforgettable ‘Joe Pesci moment’ in Goodfellas was quite well achieved. In the last third the movie seemed to be loosing its way a bit, especially from the humour standpoint, thus slightly undoing the hilarious opening acts. However, that said, it still managed to be quite an enjoyable and fun watch. 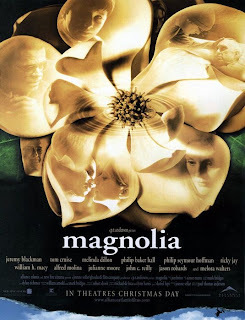 People tend to get polarized when they watch Magnolia, what with its extravagant length, grand themes, ambitious storyline and biblical overtones, but it isn’t difficult to understand when critics applaud the movie by pronouncing it as Paul Thomas Anderson’s magnum opus (at least till then). The movie focuses on the strangely prophetical and beautifully interlinked parallel stories on a single day in Los Angeles. Like his previous and heavily laurelled film Boogie Nights, Magnolia too was an ensemble movie if ever there was one – its brilliant array of actors, including the likes of Tom Cruise, Julianne Moore, Phillip Seymour Hoffman, William H. Macy, John C. Reilly and Phillip Baker Hall, have played singularly identifiable and emotionally complex characters on an inevitably tragic collision course. Though the length and rapidly evolving scenarios might seem intimidating, it was a largely gratifying experience for me – yeah, the deeply unsettling and utterly unexpected climax too. And the intense storytelling, with enough amounts of suspense thrown in, certainly made for an involving and a largely engrossing piece of work. The movie was also a testimony to the writer/director’s fascinating vision, skill and versatility, what with his following movie being the delirious black comedy Punch Drunk Love! was a product of the Czech New Wave, arguably the most fertile period of Czech film history. However, though thematically it was linked to the best films of that period – Holocaust tended to feature significantly (directly or otherwise) in those movies, structurally it wasn’t, in that it wasn’t as whimsical or darkly comic like, say, Closely Watched Trains. 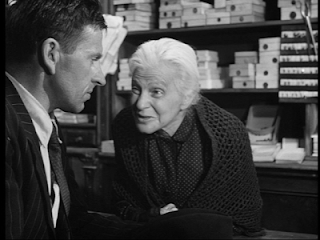 The movie, often considered one of the most poignant depictions of that despicable and sad time of human history, is about a simple carpenter living in a small town who develops a wonderful friendship with an old Jewish lady while working as an Aryan comptroller at her shop, only for it to end on a devastatingly tragic note. The tragi-comic movie is essentially about the inherent ambiguity in human nature – the fact that just one moment of madness is all it takes to convert a friendly, sympathetic man with an unprejudiced mind into a raging fanatic. Shot in elegant black-and-whites and enacted wonderfully by its superbly chosen cast (especially its two principal leads), the movie manages to profoundly disturb its viewers and elicit a few wry smirks here and there with equal ease. Though a few more dollops of black humour might have alleviated the movie’s effectiveness, its simplicity and sensitiveness, however, remained in my mind even after the credits had rolled.